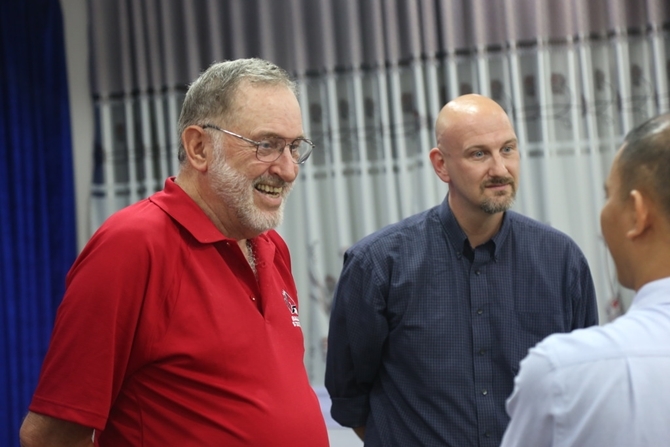 One of the international cooperation highlights of University of Economics, the University of Danang (UE-UD)last week was welcoming and working with Ball State University (BSU). 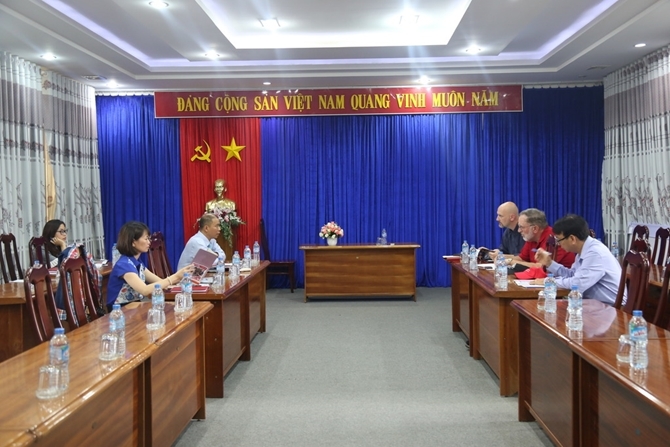 At the meeting, representatives of the two universities reviewed the cooperation results between the two sides since the meeting of UE-UD with Professor Gerawd Edwardin September 2015. (Click here for more details). Besides, senior representatives of the two universities alsodiscussed deeply about the training programs and international development orientation. UE-UD expressed a desire to collaborate with BSU in 2+2 or 3+1 jointprograms. For these joint programs, representatives from BSU promised to offer special policy in tuition, accommodation for UE’s students. In addition, the two universities also attached special importance to the promotion of science research. Moreover, UE would like to continue expanding the research topics with the support of Professor Gerawd. On this occasion, UE also introduced the Summer School program for international students to representatives of BSU.According to Assoc. 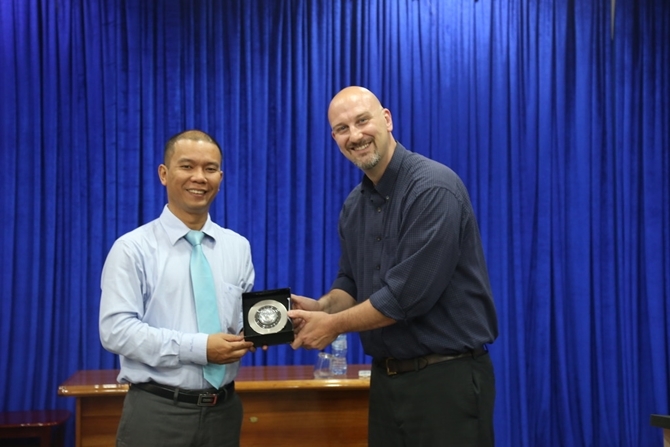 Prof. Nguyen Phuc Nguyen – Head of Science and International Cooperation Office, UE-UD,besides specialized sessions, the course will focuson fieldtrips and the cultural exploration of Danang city, Vietnam. Representatives of BSU shared that there are a lot of study abroad programs at BSU similar to Summer School program of UE and many students in USA havea desire to study, exchange and explore the Vietnamese culture. Assoc. Prof Nguyen Phuc Nguyen shared that next September, UE-UD will host the 2nd International Education Conference, which will be an opportunity for the partners of UE-UD to meet and clear up queries for not only UE’s students but also high school students and their parents around Danang city. This conference will be a valuable opportunity for partners to promote their brand to students. 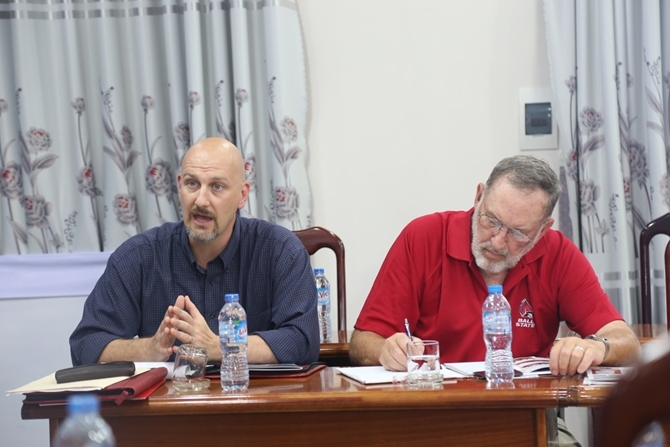 At the end of the meeting, the two universities promised to send the updated curriculum to each other to soon deploy the joint programs as well as sign the MoU together in the upcoming time.